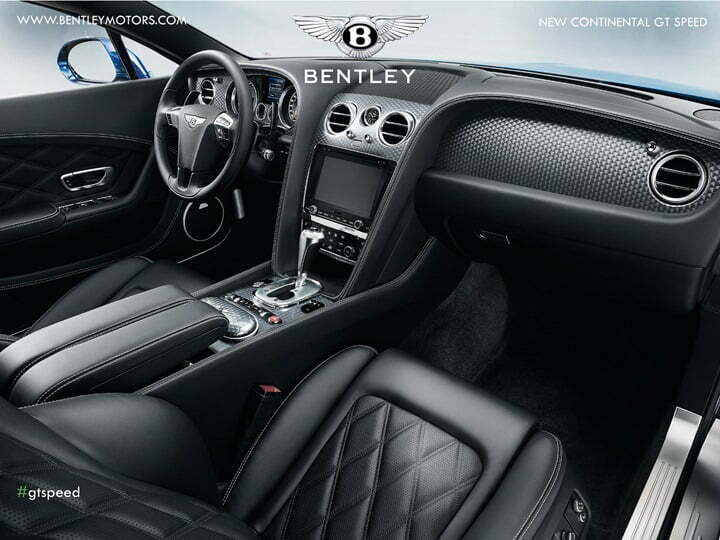 Bentley has meant luxury personified and has always been built for the ones who have been the richer than the richest folks in town. And how could India not be thought about when it comes to having the richest folks around having a thing for luxury cars. Bentley, in sync with this has just launched the fastest Bentley ever in the country, the 2013 Bentley Continental GT Speed and it can go scarily fast to say the least. The car has been launched by the Delhi-Based Exclusive Motors who happen to be the official importer of the Bentley cars in the country. 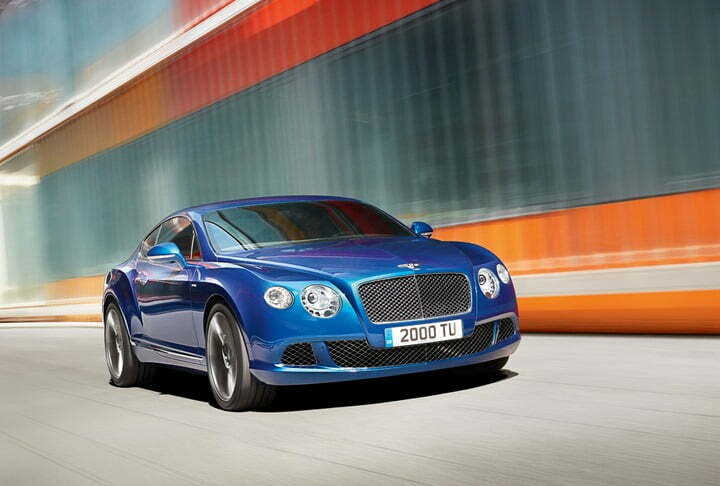 “We are ecstatic to launch the Bentley Continental GT Speed in India. The car has been making waves in the international arena and is sure to impress our customers in the growing Indian luxury auto market. The new GT Speed has supreme levels of performance with no compromise in comfort, refinement, craftsmanship and quality,” is what Mr. Satya Bagla, MD, Exclusive Motors had to say at the launch event. 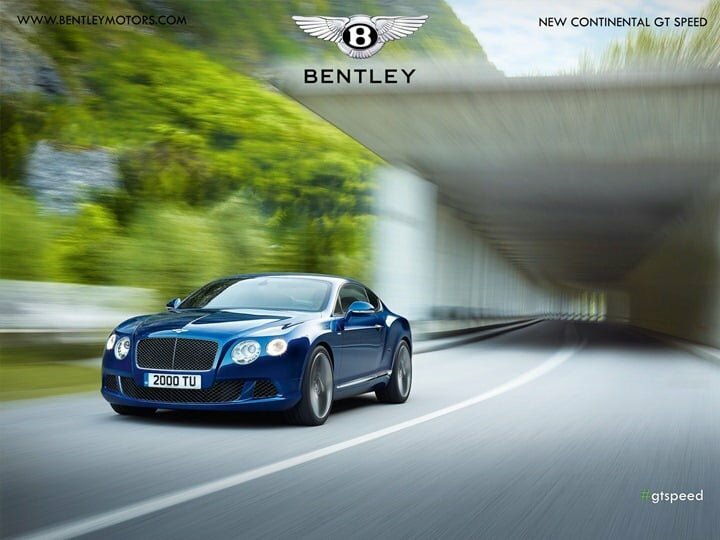 The 2013 Continental GT Speed looks looks pretty similar to the standard Continental GT and the comes with the same 6.0 , W12 heart but the engine gets overtly reworked to churn out 625PS of raw power coupled with a peak torque figure of 800 Nm. The power is sent to all the wheels of the car courtesy an 8 speed automatic ZF transmission and the car does the 0-100 KMPH sprint in meager 4 seconds before reaching the top speed of 330 KMPH. Gadgetry list includes an infotainment system with a 30GB hard disk drive where you can load lots of music and entertainment. The infotainment system has a touch screen interface with GPS navigation in-built. There are features like hand trimmed leather steering wheel cover, paddle shifts behind the steering wheel, to give you an adrenaline rush. To keep the car swift, come the humongous 275/35/21 ultra high performance Pirelli PZero tyres which not only help the car stay on road well, but also increase the visual appeal of the car. The car gets greener by 12 percent over its previous generations and if you are wondering how much you are going to end up paying for it, that would be Rs. 1.9 crores only. That’s a small price to pay for exclusivity my friend.